Pasadena Pavilion site will have four restaurants. 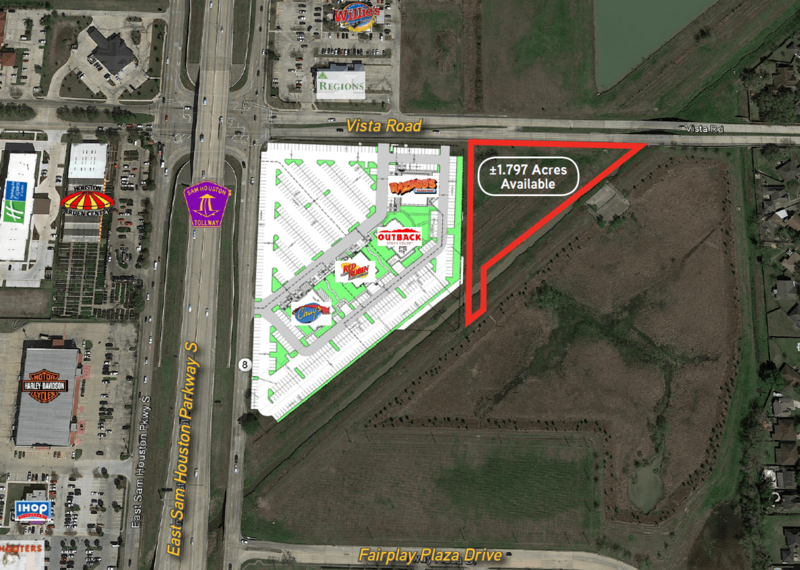 PASADENA, Texas – Four new freestanding restaurants are being developed on an 8-acre site at the southeast corner of Beltway 8 and Vista Road in Pasadena, according to Colliers International. The four restaurants are Razzoo’s Cajun Cafe, Red Robin, Chuy’s and Outback Steakhouse. The seller of the land, Fairplay Partners Ltd., was represented by Marshall Clinkscales of Colliers International.